For KPN we developed and delivered 4 Telephone Signal Loggers, version 2 (TSL 2). 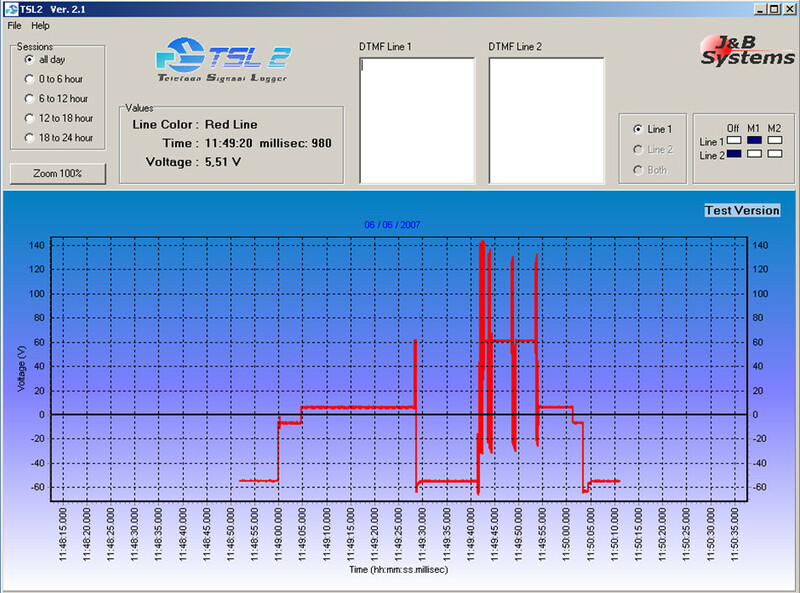 The TSL 2 is a custom made stand-alone data-logger which can monitor 2 analogous telephone lines at the same time. The TSL 2 is able to measure analogous voltages and DTMF information as a function of time, which will be stored on a SD memory card. The TSL 2 can store all data for a very long period, ranging from a couple of days to a few weeks or even a few months. With the use of a special software tool all data can easily be retrieved and analyzed. The TLS 2 is used by KPN, to monitor interupted telephone lines. Most common problems are: poor internet speed, corrupted ALS70 signaling, cable break down, etc. A KPN technician places the TSL2 at the customer site, trying to find the real cause of the interference. When measurments are finished the technician can use the software tool to analyze the data.